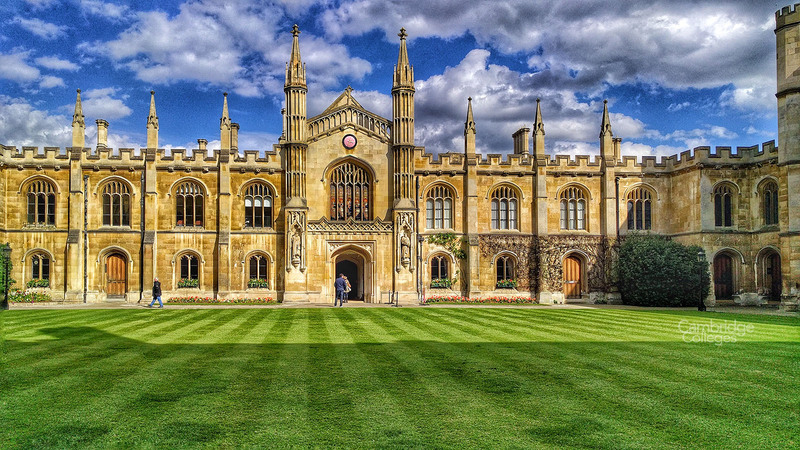 Corpus Christi College is often referred to simply as Corpus by Cambridge students. Its full name is the rather elongated ‘The College of Corpus Christi and the Blessed Virgin Mary’. 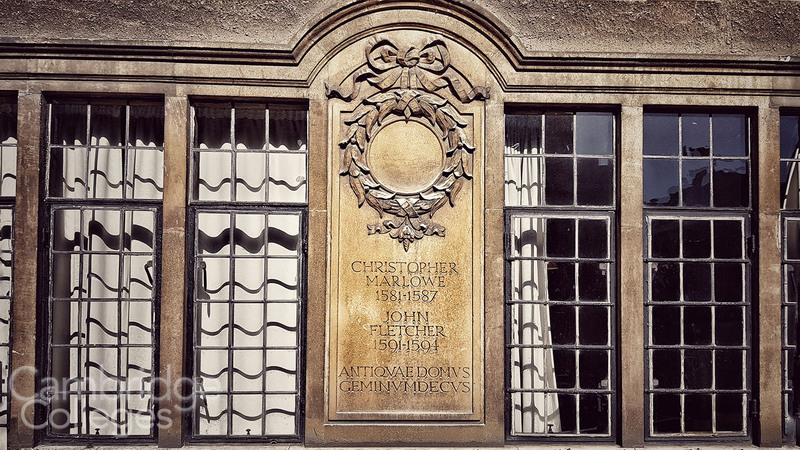 Founded by the Guilds of Corpus Christi and the Blessed Virgin Mary after the Black Death in 1352, it is notable as the only college in Cambridge to be founded by the townspeople. The Black Death killed millions of people across Europe and resulted in a skills shortage in the UK that a number of Cambridge colleges were established to address. 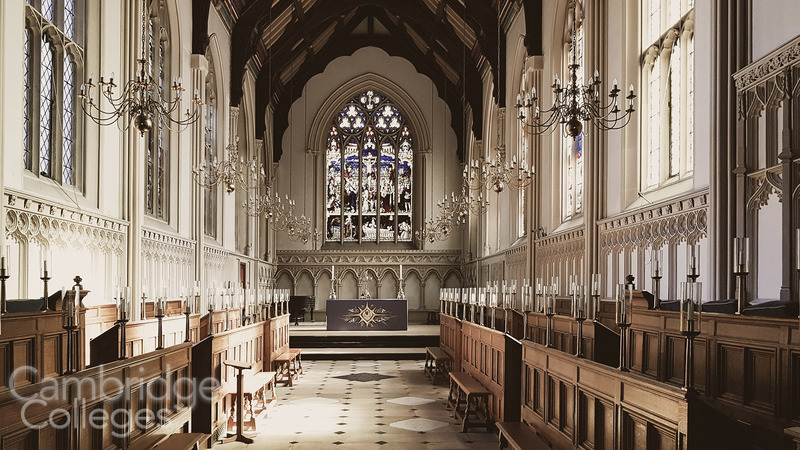 Situated in the centre of Cambridge, on Trumpington Street, Corpus Christi is just along the road from King’s College Chapel. Entering via the Porters Lodge, the main entrance takes you into the Georgian New Court. Through an archway to the left stands Old Court, built in the 1350s. 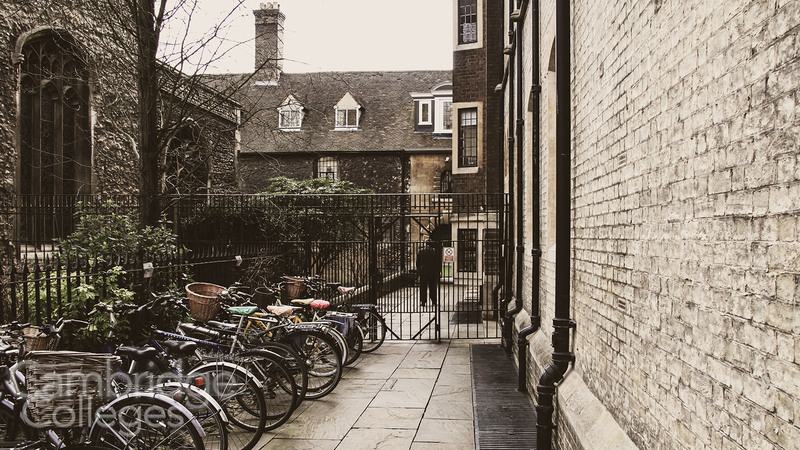 Old Court is claimed to be the oldest courtyard in Cambridge as well as the oldest continually inhabited courtyard in the country and is alleged to be haunted by numerous ghosts and ghouls. A passageway connects Old Court to Bene’t Street, another area of Cambridge not to be missed. Library Court, renamed Kwee Court in 2013, was completed in January 2008 and its pièce de résistance, the Chronophage was opened by Stephen Hawking on 19 September 2008. 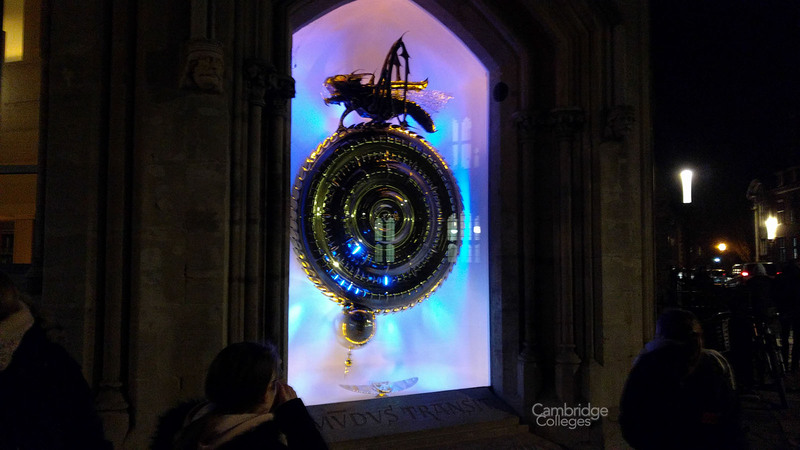 Chronophage means time-eater in Latin, and this impressive time-piece was conceived, designed and financed by John Taylor, a Corpus Christi alumnus and inventor of the cordless electric kettle. The clock (because that’s what it is) is on an outward facing corner of the college, opposite King’s college and now draws as many crowds as the famous chapel of King’s. The Grade II listed building was a bank until 2005, when their lease ran out and the college retook possession of it. Using the funds donated by John Taylor Corpus commissioned the building of a modern library for the college, as well as new offices and a college bar. The library is named the Taylor Library in his honour. The old doorway to the bank now houses the impressive and, perhaps slightly scary looking clock. The Chronphage cost £1 million, is made from gold plated stainless steel and approximately 5ft in diameter. 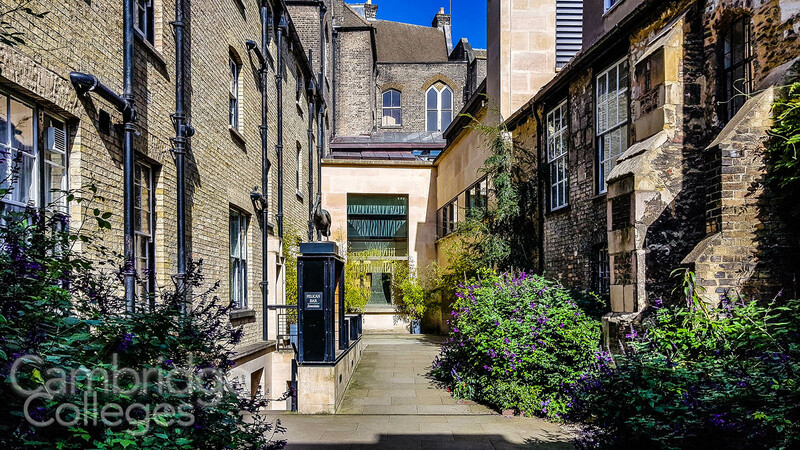 Whilst Corpus might be the smallest college in terms of undergraduate student numbers, with a population of around 270 (it admits fewer than 90 per annum) it is also regarded as one of the wealthiest. Corpus Christi’s wealth is largely due to its impressive silver collection. It was the only college not to sell it’s collection of silver during the English Civil War. However arguably its most prized possession is the collection of medieval manuscripts held in the Parker Library. The current value of the College’s land, assets and endowment is over £230 million. Corpus also owns The Eagle pub on Bene’t Street where, on 28th February 1953, Francis Crick interrupted patrons’ lunches to announce that he and James Watson had “discovered the secret of life” after they had come up with their proposal for the structure of DNA. Much of the research had been carried out by a Newnhamite – Rosalind Franklin but, controversially, they did not credit her contribution to their findings. 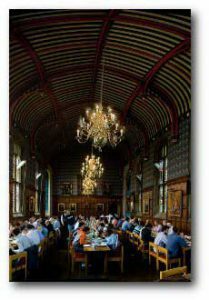 As with all Cambridge Colleges, new students attend a matriculation feast in the first week of term. At Corpus on these occasions an ancient drinking horn is passed around those assembled. The horn is older than the college itself and was a foundation gift to commemorate Pope Sylvester. When you receive the horn you stand to drink from it, the people either side of you also stand to prevent you being stabbed by a rapscallion as you quaff away. A remarkable experience only slightly diminished by the content’s uncanny resemblance to orangeade. The most famous alumnus is probably Christopher Marlowe (16th century dramatist and poet). 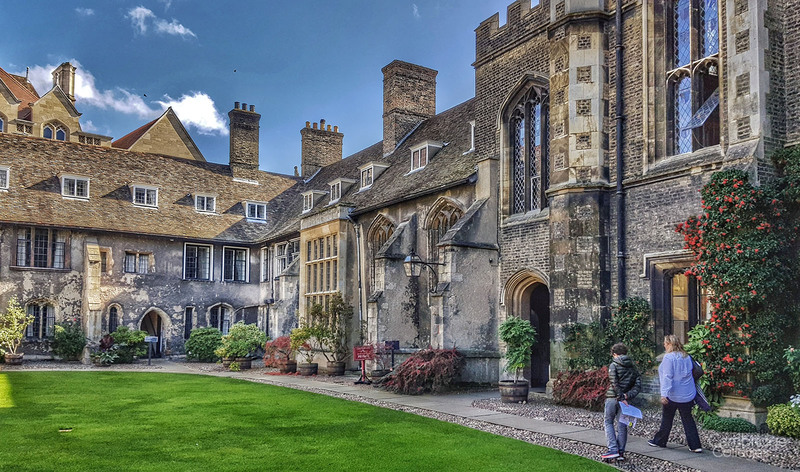 Corpus Christi College’s sister college is its namesake, Corpus Christi College, Oxford. For more information about the college and its opening times please visit their website.